Since 2010, this online quilting bee has been making quilts for many wonderful charities. We mobilize our love for color, fabric and stitching to bless others. Members use social media such as Flickr and Instagram for planning and sharing progress. We'd love to have your help! do. Good Stitches is designed to minimize shipping and fabric costs by working from our own fabric stashes. Members are organized into groups of 10, called circles. Each circle makes one quilt per month. There are two levels of involvement: Stitchers & Quilters. Stitchers: Every month all members complete 2 blocks for their circle, based on instructions posted on Flickr by a lead quilter. Blocks typically measure 12.5 x 12.5″ unfinished. Share pictures of your completed blocks on Flickr and/or Instagram. Mail blocks to the Quilter by the end of each month. 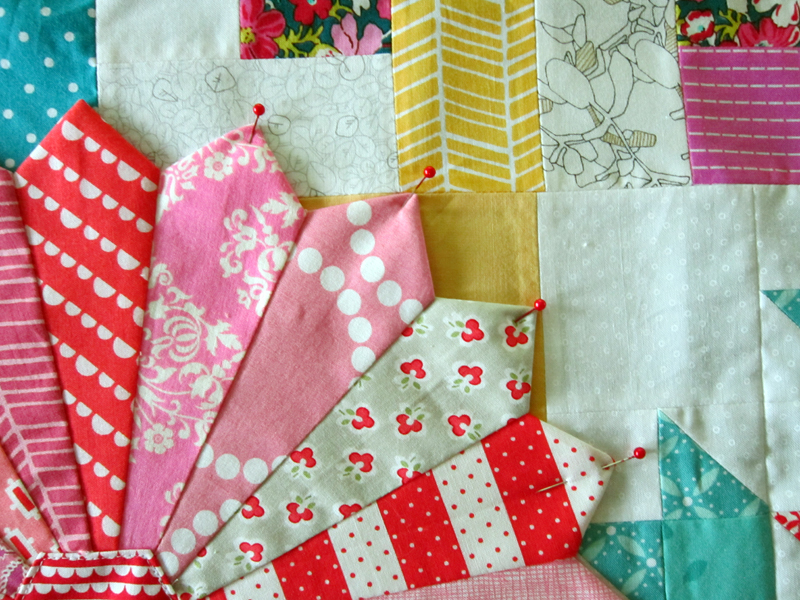 Quilters: Quilters make blocks each month, just like a Stitcher. In addition, Quilters lead the collaborative quilt about twice per year. When it's your turn to lead, you'll communicate your plan via Flickr, then wait to receive blocks. Once all blocks are received, join blocks and complete the charity quilt within 30 days. 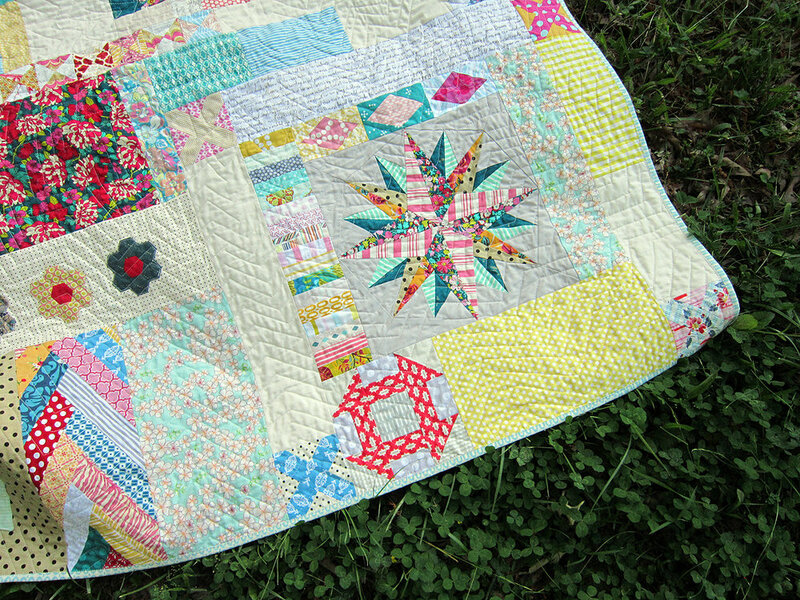 Share a photo of the finished quilt on Flickr and/or Instagram. Then mail the quilt to your circle's charity. We are always open to new suggestions! Each circle of 10 members includes a Host, who provides leadership and admin for the circle. Generally the Host sets the direction for the charity, and members join as interested. While quilts of all styles are wonderful acts of charity, this bee brings together social media users who enjoy sewing with modern fabrics. You must be willing to use Flickr for bee business. Some circles also use Instagram for staying connected. Since we each sew from our own fabric stash, it's helpful if we have somewhat similar taste in fabrics so that the quilts are cohesive. Members can be relatively new to quilting, but I will need to see some samples of your work to confirm you are a good fit. If neither your Flickr nor your Instagram account includes photos of your quilting, please add photos first before filling out this form. Optional. Include if you prefer an Instagram-connected circle.